Mermaids & Unicorns was inspired by all the fairytale worlds we experience as daddies of daughters in the True Vine Brewing Company family. With the release of M&U in 2015, the smooth and flavorful blonde ale quickly became our #1 beer. As of today, the #1 craft beer in East Texas thanks to you! A blonde ale that is bready, biscuity, and packs a gentle hoppy finish? A beer that can quench the thirst of a Texas summer and have flavor enough to pair well with a backyard BBQ? Leave it to a Texan to create the perfect balance between easy drinker and bold flavor. As beautiful as a mermaid and rare as a unicorn, this blonde stands apart. Cheers to brewing the impossible! Here in Tyler, TX we like to do things bold. From the green pines towering overhead to the colorful sunsets tucking us in a night, things here demand to be noticed. Just like our Rose City IPA. Named for the city nickname, this India Pale Ale (IPA) contains a floral aroma and a gentle thorny bite from the generous bouquet of Cascade, Centennial and Citra hops. A beer that’s down to earth with a little fight in it. Just like the Rose City itself. 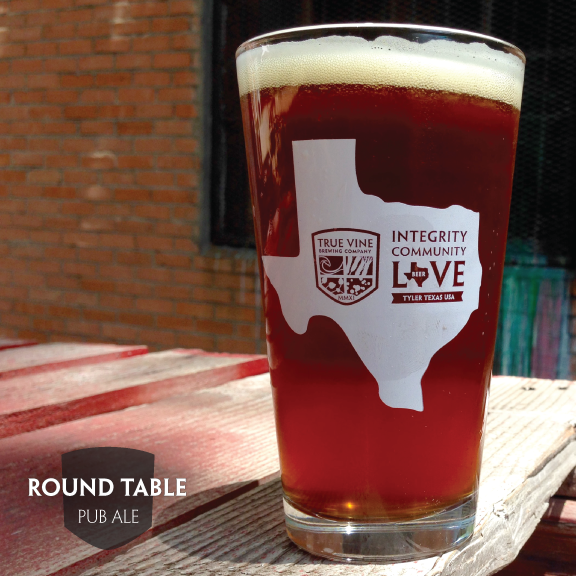 Round Table is our smooth drinking, every occasion, family table beer. It's mild roast, toast and malty backbone balanced with smooth noble hops make this beer a perfect addition to the True Vine line. We like to think that Round Table is as if New Castle and Fat Tire got together and made a large cage fighting child. As are all of True Vine's year around offerings, this flavor bursting table beer is to be shared with friends and family. Because after all, "A shared table is a shared life." Cheers! Being a grown-up means responsibilities galore but it also means getting grown-up treats. And we don’t mean fruit snacks and goldfish. We’re talking big, bold, 8.5% treats. 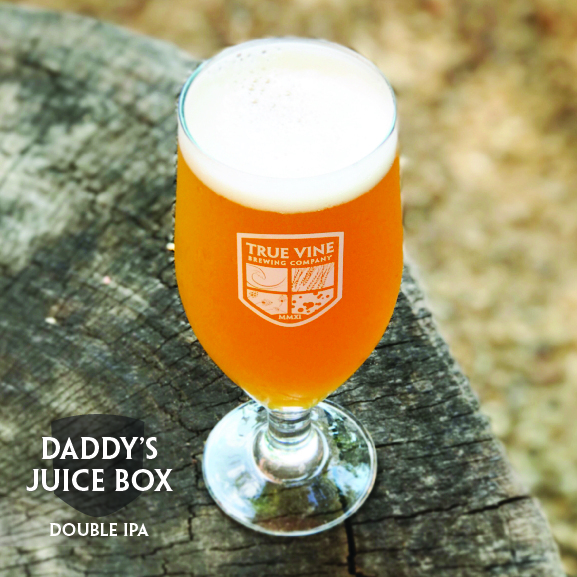 Our Daddy’s Juice Box Double IPA is a big, juicy, hop declaration of a treat. With a full nose of tropical aromas from Mosaic, Citra and Simcoe hops along and a super smooth finish, this hop authority is sure to reward. So get your own juice box, kids. This one’s for daddy.